Clear One’s Collaborate Room SD-200 is a videoconferencing system that delivers high-quality audio and video and is easy to set-up. The plug & play device is simple to operate and offers top benefits along with the right mix of quality and features. Software-based videoconferencing enables flexibility and easy upgrades. 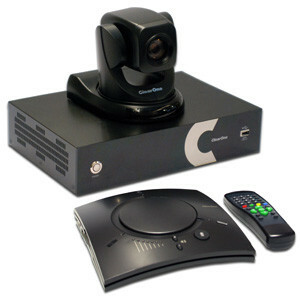 This system's full videoconferencing functionality enables built-in recording, streaming, and data sharing. With the lowest cost in its class, this multipurpose designed full-featured system delivers excellent quality video conferencing sessions and contributes to workplace efficiency.